Sometimes, a photo makes you happy. Sometimes that photo is from, like, 1900. 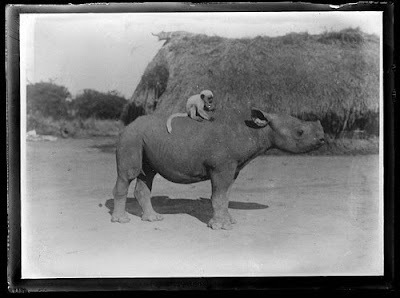 Other times, it's of a monkey riding a rhinoceros. Rarely is it all three, and on those occassions, it's best to rejoice, and blog that.